Shepard Fairey’s Barack Obama Hope poster became the iconic campaign image for the first African American president of the United States. 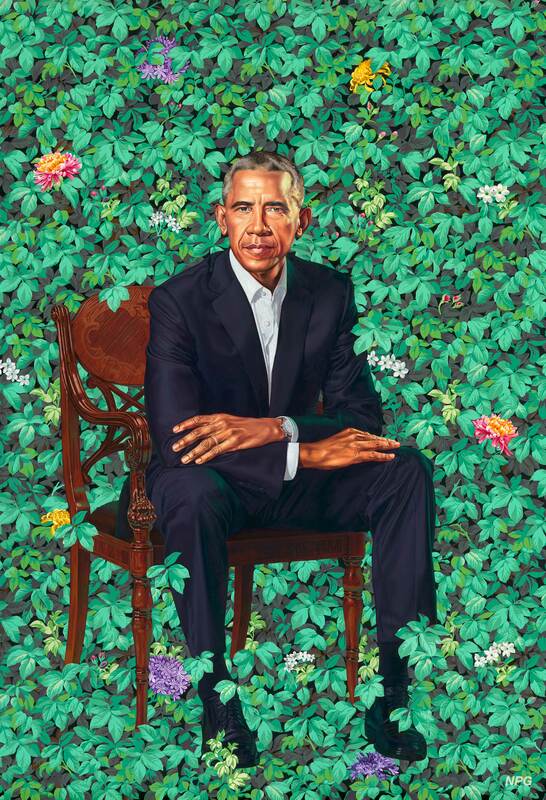 Early in 2008, the Los Angeles–based graphic designer and street artist designed his first Obama portraits, with a stenciled face, visionary upward glance, and inspiring captions. The artist’s intention that the image be widely reproduced and "go viral" on the Internet exceeded his greatest expectations. Campaign supporters and grassroots organizations disseminated tens of thousands of T-shirts, posters, and small stickers; Fairey himself produced mural-sized versions; and a free, downloadable graphic generated countless more repetitions. In this fine-art version of that unprecedented and powerful campaign icon, Fairey incorporated the familiar heroic pose and patriotic color scheme. But he translated the portrait into a collage with a rich, elegant surface of decorative papers and old newsprint.